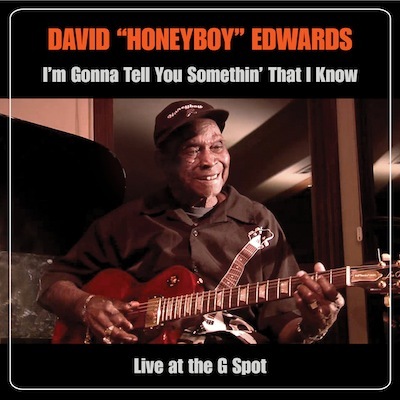 David “Honeyboy” Edwards was the last of the great Mississippi Delta bluesmen. In early 2010, Honeyboy was awarded the Grammy Lifetime Achievement Award, and later that year returned to Los Angeles to perform at the G Spot, nimbly accompanied by Jeff Dale & The South. Even at 95 years old, Honeyboy was still singing and playing like a man of less than half that age. That show turned out to be the last time Honeyboy was filmed and recorded. The performance is now available to be seen and heard on I’m Gonna Tell You Somethin’ That I Know - a CD/DVD combo documenting that historic appearance.